On September 11, 1918, 35-year-old homemaker Gertrude Mathieson Harrington died in Chicago's Wesley Hospital from an abortion perpetrated by Helen Dugdale, whose profession is given as "abortion provider." Although Dugdale was arrested, the case never went to trial. Gynecologist Mandel M. Friedman, age 53, was charged with homicide in the September 11, 1962 death of Barbara Clarke Covington, age 35, a Florida socialite and Chi Omega Sorority sister. Friedman was out on bail for the abortion death of Vivian Grant. 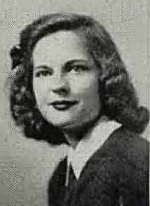 Barbara, a divorcee, was the daughter of the late DeCarr Dowman Covington Sr., a wealthy Florida citrus grower, and was the sister of the Democratic Florida State Senate nominee D. D. Covington Jr. She had been living with her mother in New York. A 31-year-old Madison Avenue advertising executive, Franklin Charles Beck, admitted to securing the $1,000 abortion fee and driving Barbara to Friedman's office.He told police, "I loved her. I wanted to marry her. I did not want her to go through with this thing." He waited for about an hour while Friedman operated, only to have the doctor come out and announce, "She's gone." Beck initially went along with Friedman's plan to attribute Barbara's death to a heart ailment, but when Friedman tried to get an undertaker to arrange for the removal of Barbara's body, the undertaker reported the case to authorities, who immediately recognized Friedman's name and suspected illegal activities. Barbara's body was taken to the morgue at Queens General Hospital for autopsy. Beck was questioned and offered a 10-page statement. Friedman was questioned by authorities and released on $10,000 bail shortly after midnight, pending completion of the autopsy. He was scheduled to surrender to the Queens District Attorney's Office. Instead he fled, leading to a 13-state manhunt that ended quickly. Friedman surrendered, accompanied by his attorney and refusing to give any statement other than his name, age, address, and occupation. After legal wrangling, Friedman entered a plea bargain, getting a manslaughter charge dropped and being sentenced to only two to four years at Sing-Sing. William Day, a 21-year-old microbiology student at the University of Massachusetts, was given a five-year suspended sentence after pleading guilty to charges relating to the death of his girlfriend, 21-year-old Nancy Kierzek. Day, who intended to become a doctor, perpetrated the abortion in his apartment. Nancy died of blood poisoning on September 10, 1970, a few hours after her admission to Holyoke Hospital in Boston. Abortion had been legalized in New York, so why Nancy would submit to an illegal abortion when within driving distance of a legal abortion remains a mystery. Diane Smith, age 23, was one of the women mentioned in the Chicago Sun-Times expose, "The Abortion Profiteers." According to the report, and her death certificate, Diane was admitted to Englewood Hospital in Chicago due to hemorrhaging. She told staff that she'd had a legal abortion in a Chicago-area clinic. Diane was treated for a perforated uterus and sepsis, to no avail. Diane died on September 11, 1976.